In the “BMW Sports Trophy Family” section, we take a look behind the scenes. This time, we take another look at the BMW Customer Racing highlights of the year. You also have the opportunity to vote for your “BMW Customer Racing Win of the Year” up until 2nd December on BMW Motorsport’s Facebook, Instagram and Twitter channels. The champion in the 2018 Blancpain GT Sports Club is Karim Ojjeh. 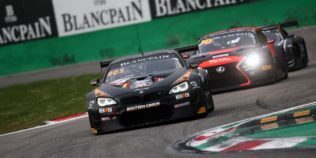 The Team Boutsen Ginion Racing driver in the BMW M6 GT3 laid claim to the title at the penultimate race weekend of the season at the beginning of September after winning the main race at the Hungaroring. 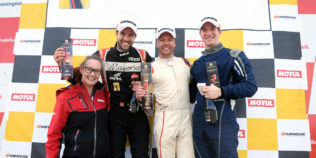 This was Ojjeh’s first title in the Blancpain GT Sports Club. 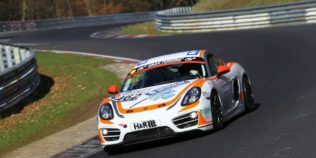 His sixth class win of the season also saw him win the trophy for overall victory in the Titanium Cup. Up until 2nd December 2018, you can vote for your personal BMW Customer Racing highlight of the year on BMW Motorsport’s Facebook, Twitter or Instagram channel. Simply comment with the number of your favourite under the relevant post. 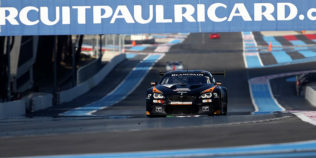 Share the post "BMW CUSTOMER RACING WIN OF THE YEAR"